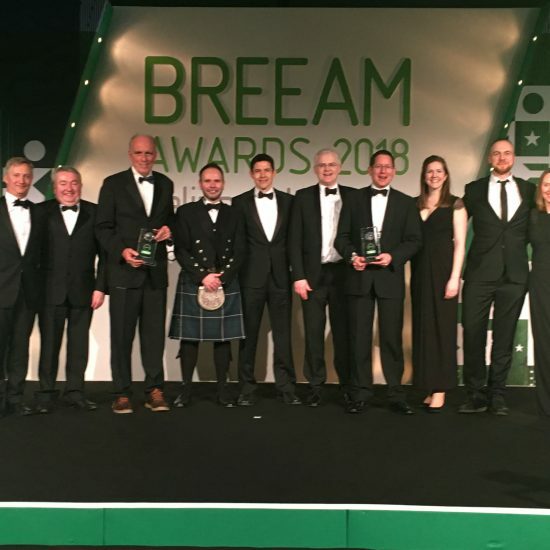 Prologis’s DC2 has won the Regional Award – Western Europe at the prestigious BREEAM Awards 2018, impressing the judges for the long-term commitment to improvement and Prologis’s use of BREEAM to enhance their buildings and inform future projects. DC2, a state-of-the art distribution centre developed and owned by Prologis, was also shortlisted for the Commercial Post-Construction Award. Delivered by BRE in partnership with ecobuild, the Awards recognise exceptional sustainable places and project teams. The judges felt DC2 deserved recognition for its potential benefits in highlighting how to make important sustainability improvements in the mature industrial sector, as constructing and operating distribution facilities significantly impacts the environment. Prologis uses BREEAM certification to measure the environmental performance of its developments. At DC2, operational carbon emissions were cut by 51% (in comparison to 2013 Building Regulations), which equates to a similar reduction in operational energy costs for the tenant. Read the full case study. DC2, Prologis Park, Dunstable achieved BREEAM Outstanding ratings at both the Design and Post-Construction stages. Eight Associates was the BREEAM Assessor, the Architect was Stephen George and Partners Architect and the Contractor was Winvic Construction.